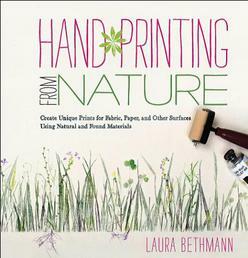 In Hand Printing from Nature, readers will discover how to use found natural materials – such as leaves, feathers, fruit, shells, weeds, and wood – to print on any surface, from paper and fabric to ceramics, wood, stone, and more. 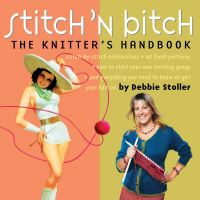 Simple step-by-step instructions coupled with beautiful photos make it easy and fun to learn the basic techniques. In no time at all, crafters of any experience level will be creating original nature prints on everything from furniture to stationery to jewellery. 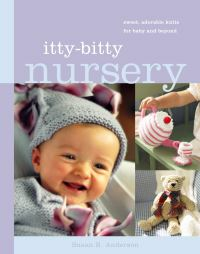 The book includes more than 50 exciting projects. Create delicate baby shower invitations featuring herbal prints – or a huge room divider printed with huge, spiny courgette leaves, tendrils, and flowers. Try making one-of-a-kind home dec items, such as curtains printed with scallop shells, flower pots printed with parsley and sage, a lampshade printed with tree bark, and a footstool printed with cinnamon sticks. Hand Printing from Nature has the information and inspiration you need to take decorative printing to the next level. Complete step-by-step techniques and 50 one-of-a-kind projects for printing using leaves, fruits, vegetables, feathers, shells, wood, and other natural materials.